2018 data arriving by September 4. Beers will be revealed on September 19. With 800+ breweries, several thousand beers and hundreds of thousands of square feet of hall space at GABF, it can be a little tricky to find what you’re looking for, or even decide where to begin. 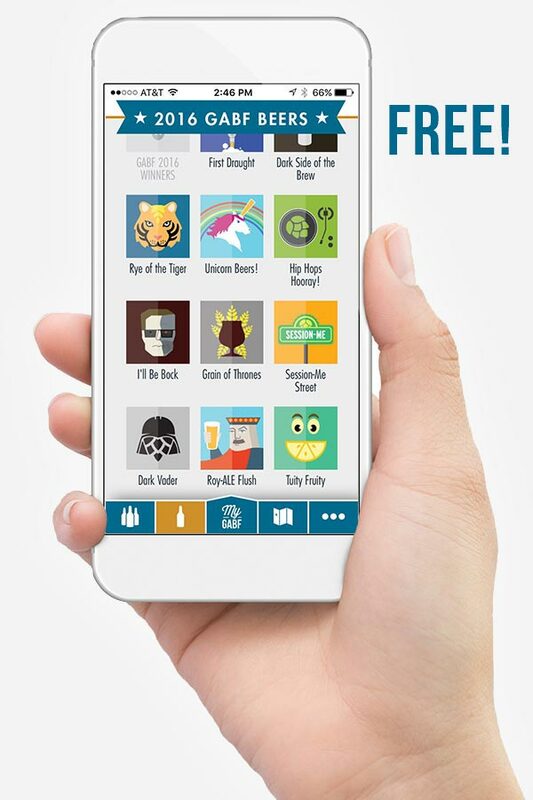 Enter the free My GABF app for Apple or Android devices! Discover new breweries, find your favs beers, track down brewers, explore the brew tours and have fun with selfie photo frames! This awesome and free app will help you do GABF like a total PRO. Already have the app? NICE! Just make sure it’s up to date before you arrive! Navigate the festival map with visual indicators that show breweries from My Breweries tab. Enjoy quick access to festival maps, onsite GABF events, exhibitors list and more in the Extra Info tab. The big reveal—the festival beer list! The festival beers will be poured into the app prior to Thursday, week of the festival. Pro tip: watch for the push notification. Medal-winning beers at the festival will be indicated on the app, with a simple refresh of the data shortly after the awards ceremony is completed on Saturday. You will also receive a push notification. Simply open the app and click the red “update” banner at the top of your screen to download the beers. Do this before you show up to the festival. Already have the app from last year? Be sure to save your tasting notes before you update your app to the latest version! Minimum system requirements: iOS 9 or later; Android 5.0 or later.